Mazda has dropped the official details on the company's Minagi Concept. 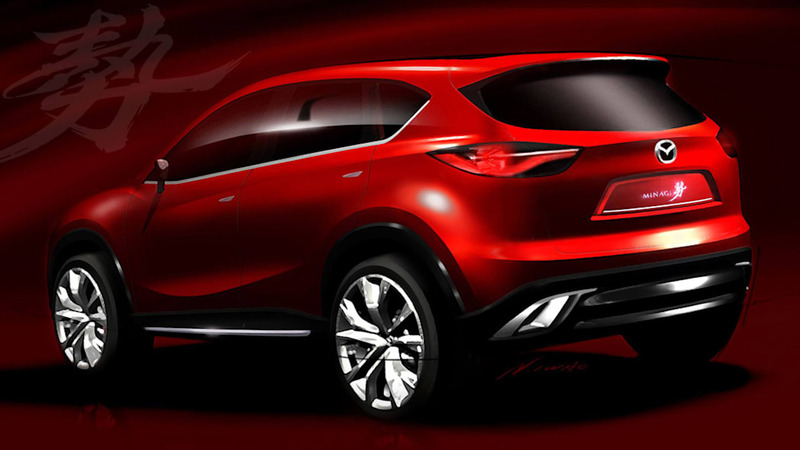 The sleek CUV is intended to give us all a little taste of exactly where Mazda's design is headed in the near future as well as show off the company's new Skyactiv drivetrain technologies. Mazda isn't telling us exactly what's under that sculpted hood other than to say that the Minagi gets its power from a Skyactiv engine and puts it to the ground via a Skyactiv transmission. In addition to those fuel-saving components, Mazda claims that the Minagi also uses a host of weight-saving tricks to boost fuel economy. 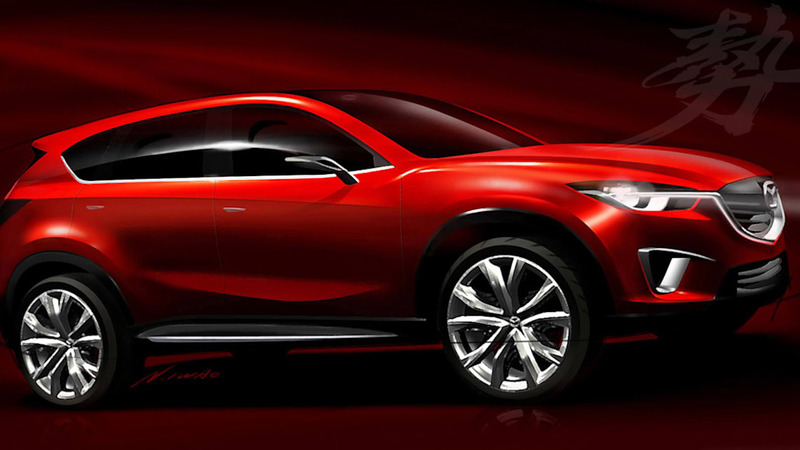 The concept wears the new Mazda design theme called Kodo, or soul of motion. From what we can see from the renderings, the look is a full galaxy ahead of the all smiles design the Japanese automaker is currently employing. We'll be interested to see how the lines translate to the real world when the concept shows up at this year's Geneva Motor Show in March. Hit the jump for the full press release. HIROSHIMA, Japan-Mazda Motor Corporation will showcase the world premiere of its new MINAGI compact crossover SUV concept car during the press days of the 2011 Geneva motor show, which is being held from March 1-13, 2011. The Mazda MINAGI concept fully embraces Mazda's new SKYACTIV technologies and its new design theme, KODO – Soul of Motion. 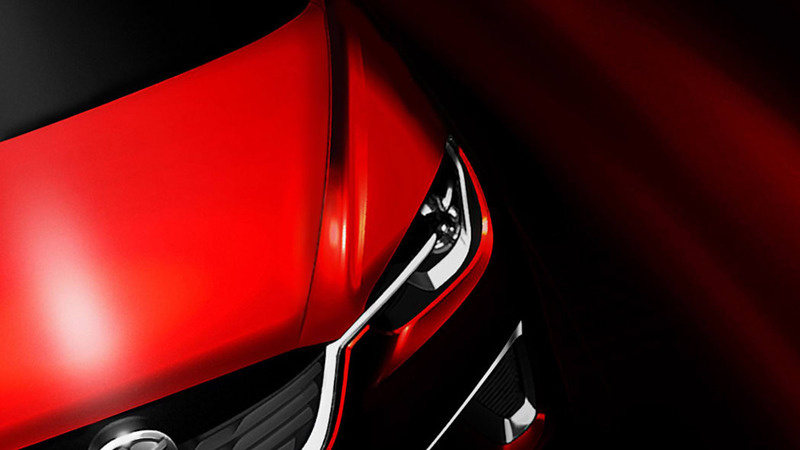 The exciting MINAGI concept is the forerunner to the launch of Mazda's upcoming next-generation products and symbolizes the evolution of the Mazda brand as it begins a new era. The Mazda MINAGI is a compact crossover SUV concept that combines Mazda's SKYACTIV technologies - which represent the harmony between driving pleasure and outstanding environmental and safety performance - with emotional KODO design that communicates pent up energy bursting with vitality as the vehicle nimbly navigates a sprawling urban cityscape. Fully introducing SKYACTIV technologies throughout, MINAGI is equipped with a SKYACTIV engine and SKYACTIV transmission fitted to a SKYACTIV-Body and chassis that merge comprehensive weight reduction with the assurance of ample safety features. Mazda SHINARI design concept car, among a wide range of products. 1 and 2, and the public days are March 3-13, 2011. Mazda will hold a press conference on Tuesday, March 1.